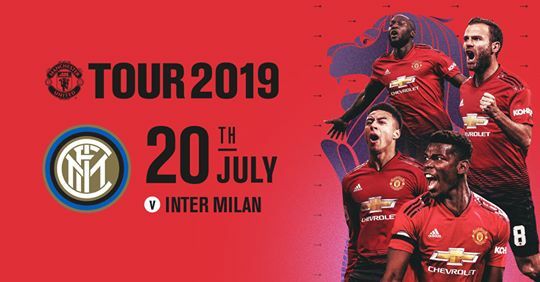 MUFC Tour 2019: Manchester United vs Inter Milan @ ICC Singapore 2019 on 20 July 2019! International Champions Cup 2019: Manchester United vs Inter Milan on 20th July 2019 (7.30pm kickoff) at Singapore Sports Hub! Tickets will go on sale to the general public from 10am on Apr 4 via SportsHubTix. If you have UnionPay Credit/Debit Card you can do so now at https://www.sportshub.com.sg/icc2019! The Official MUSCS Fantasy Premier League 2018/19 (U4U) is back! Stand a chance to win a MUFC 2018/19 Jersey (Home, Away, 3rd Kit or Home GK Kit) with Name & Numbers of New Signings of this upcoming EPL season (Grant, Dalot, Fred, ????) or a MUFC 2018/19 Jersey (Home, Away, 3rd Kit or Home GK Kit) or MUFC 2018/19 Training Jersey (Black)! Join anytime before Week 1 Deadline (10 August 2018) for higher chances! The only requirement is you have to be a MUSCS U4U Official Member for 2018/19 season to join this Fantasy Premier League! Contact MUSCS Head of Membership Kenneth.Ho@muscs.sg for U4U Membership registration! Once registered for U4U Membership, you will get the Code for the MUSCS Fantasy Premier League 2018/19! Do also put in your U4U membership number in the team name YourTeamName_U4UMembershipNumber (E.g. ManUtd_1819-0011) & Max is 20 Letters/Numbers. Disclaimer: In event of 1st Placing is a non-member, MUSCS will choose the next player who is U4U Member to be a winner, same goes for 2nd and 3rd Placing. Prizes (Jersey & Training Jersey) may subject to change due to stock availability. Results will be announced at the end of EPL 2018/19 season. Any decision made by MUSCS EXCO will be final.